Long Night of Research April 13, 2018 – H.A.U.S. 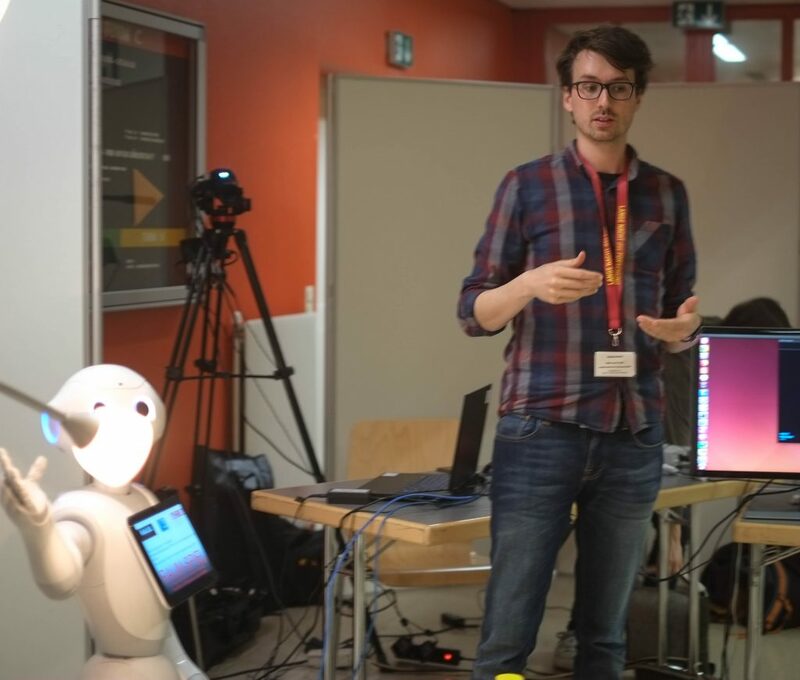 play the space-game with the humanoid robot Pepper. Soon, humanoid robots will live together with us in everyday spaces. Architecture is fare from being prepared. 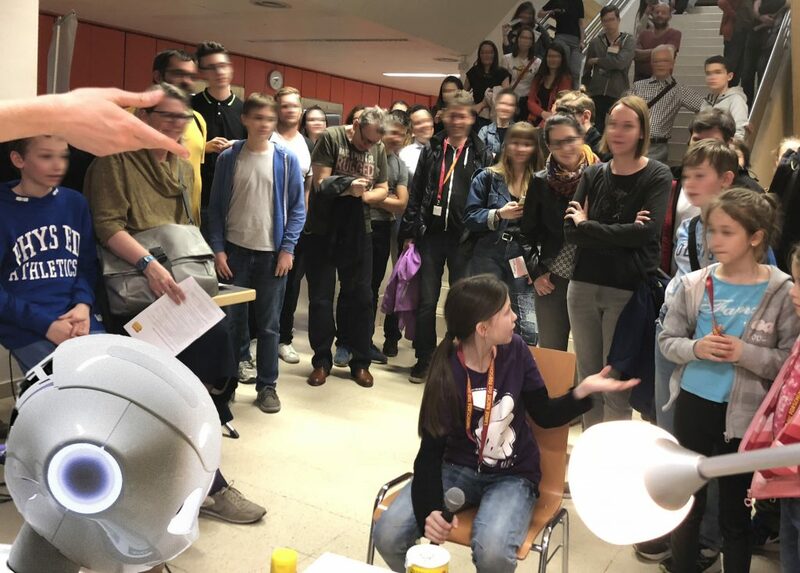 There is a paradox concerning living space: Robots can act autonomously, but they have hardly any possibility to recognize the human meanings of objects and spaces. They have to learn this. Why? Taming means adapting to the needs of people. A humanoid robot may resemble a human being, but it is anything but adapted. H.A.U.S. is researching towards an AI machine learning system to make that possible. 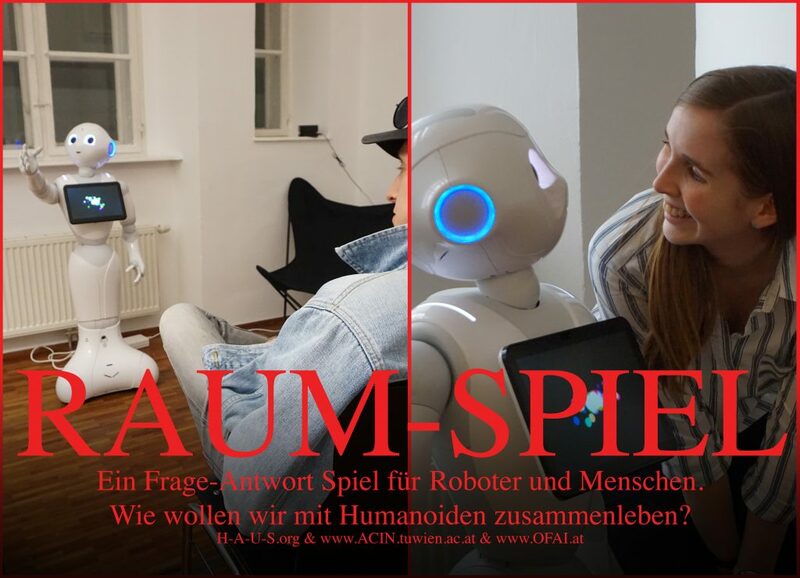 Thats archieved by means of the space-game, wich is developed according to the philosophical language-game: an interaction of robot, artificial intelligence and man. 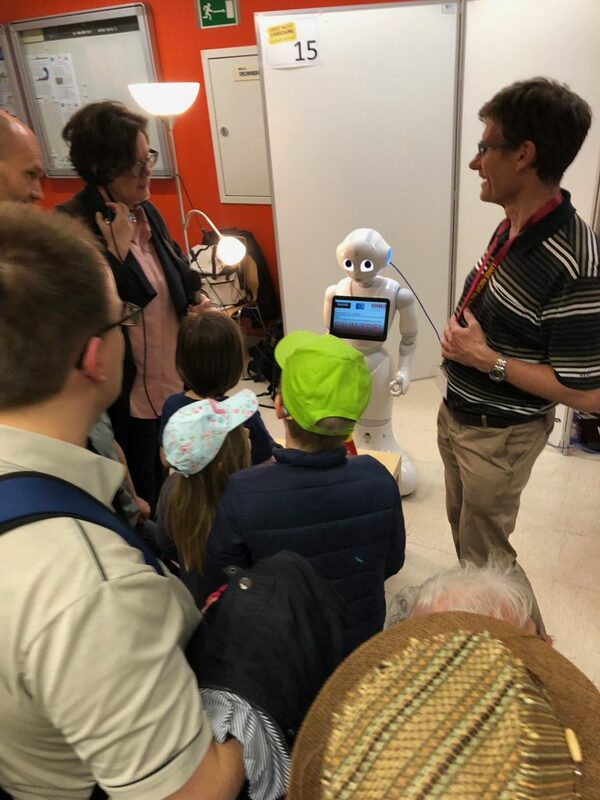 You want to talk to Robot Pepper? Tell the humanoid what different everyday things mean to you. Its a model of space generated by the interaction of humanoid robot, AI and human person. Together with the robot, you create a model of space that is both, human and technological at once – a cultural space model of some Architecture yet to come. H.A.U.S, ACIN and OFAI present the space-game at the long night of research 13.4.2018. Prev Doppelganger – rehearsing a Dance Performance about relations between Humans and Humanoids.